Noel Kelehan must be considered the uncrowned king of the Eurovision Song Contest, having led the orchestra for a Eurovision entry an impressive twenty-nine times – no person took part in the festival more often. Kelehan was the musical director of the contests of 1981, 1988, 1993, 1994, and 1995, all of which were held in his native Ireland. 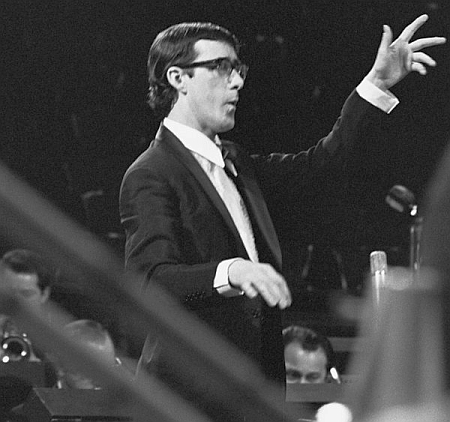 He waved the baton for twenty-four Irish entries between 1966 and 1998, amongst which five winners, while he stepped in for five songs of countries which had chosen not to bring a conductor of their own to one of the festival editions held in Ireland. At Dublin’s Municipal School of Music, Noel did not just study the piano, but music theory and harmony as well. From the late 1950s onwards until the early 1970s, one of his main sources of income was playing jazz and dance music in hotel lounges. Amongst other engagements, Kelehan performed at the Intercontinental Hotel with the later world-famous guitarist Louis Stewart (bass) and Jimmy Mackay (drums), and at the Shelbourne Hotel with Martin Walsh (bass) and Ian McGarry (drums). 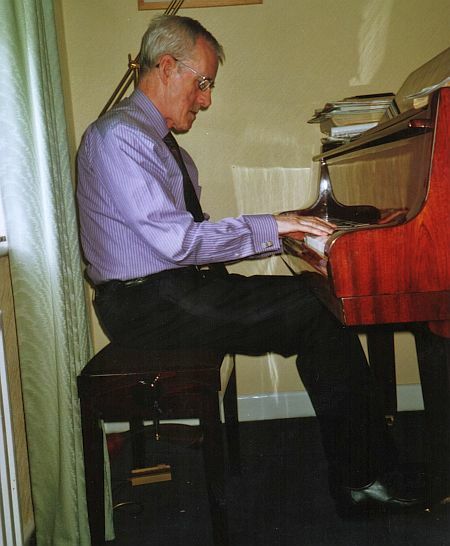 Meanwhile, he had become a regular piano accompanist for broadcasts at RÉ (Radio Éireann), having made his debut on nationwide radio at just 19 years old in 1955. The obvious talent of the young pianist did not go unnoticed and when, in 1961, RÉ was transformed in RTÉ and started its TV broadcasts, it was not long before television work came Kelehan’s way too, including performances in music shows with various groups and arranging RTÉ’s first major music series. In 1963, the piece ‘Cuchulainn’s Lament’, which he had composed at the request of RTÉ, was chosen as one of Ireland’s contributions to a programme of jazz compiled by the EBU and broadcast throughout Europe. For RTÉ, Kelehan worked on a multitude of radio and TV projects as an arranger and composer in the 1960s. He conducted his first Irish Eurovision pre-selection shows in those years. In 1965, he was commissioned by the broadcaster to compose a jazz suite in three movements entitled ‘Dubliners’, which was based on episodes from James Joyce’s ‘Ulysses’; the work was first performed in the Festival of Light Music in Munich (1967), which was broadcast by radio throughout Europe. Occasionally, Kelehan also composed and arranged music for theatrical performances. In the same period, he got heavily involved in commercial recording sessions with virtually all the stars of Irish show business, including Sean Dunphy, Brendan Bowyer, Pat Lynch, and Butch Moore. Noel Kelehan composed signature tunes to dozens of television programmes, while he worked on live TV shows with comedian Hal Roach in the 1970s and talk show host Pat Kenny in the 1980s. RTÉ regularly commissioned Kelehan to compose serious works for radio and television broadcasts and special occasions, ranging from jazz groups and string quartets to fully fledged symphonic pieces. Amongst the most striking works in his oeuvre are two compositions from the 1980s, a ‘Suite for Chamber Orchestra’, which was performed featuring guitarist Louis Stewart as a soloist, and ‘Three Pieces for Percussion Ensemble and Symphony Orchestra’, which was premiered by the National Symphony Orchestra at the Dublin Festival of Twentieth Century Music. In jazz concerts and festivals, Noel Kelehan had the opportunity to work with some of the truly great, such as Pepper Adams, Art Farmer, Ronnie Scott, Bud Freeman, Maynard Ferguson, Jiggs Whigham, and Harry Edison. In 1978, he played the piano in the accompanying trio for American tenor and soprano saxophonist Zoot Sims in the Kilkenny Arts Festival. He was a member of the big band conducted by Bobby Lamb which performed in the 1981 edition of the Cork Jazz Festival. Considered one of Ireland’s most acclaimed jazz pianists, Kelehan was also invited to play in the Limerick Jazz Society and worked with his old friend, guitarist Louis Stewart, in a television concert broadcast in 1989. 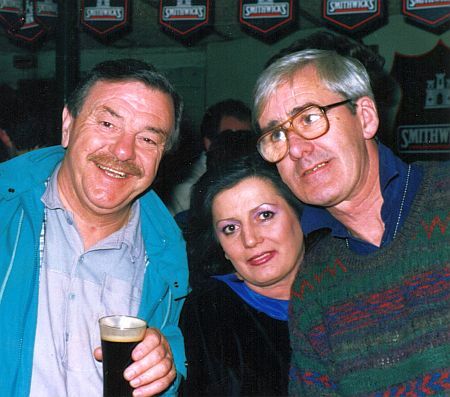 He had a lasting working relationship with Honor Heffernan, Ireland’s best-known jazz singer, who he accompanied on stage and for whom he arranged several albums; moreover, Heffernan and Kelehan worked together on radio programmes with jazz music as well. 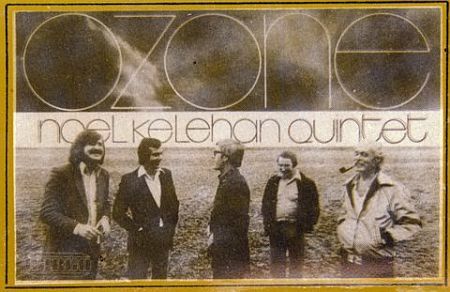 Kelehan recorded several jazz albums of his own, most notably ‘Ozone’ with the Noel Kelehan Quintet (1979), comprising Mike Nolan (trumpet, flugelhorn), Keith Donald (soprano and tenor saxophone), Frank Hess (bass), John Wadham (drums), and of course Kelehan himself (piano); this record includes a spectacular interpretation of the Celtic traditional ‘The Castle of Dromore’. Due to his extensive professional activities with RTÉ, Kelehan’s work on commercial studio releases diminished dramatically after signing his contract with the broadcaster in 1973. Nevertheless, he still was involved in several projects, including conducting the orchestra for the recordings of two suites written by modern classical composer Shaun Davey: ‘The Brendan Voyage’ (1980) and ‘The Pilgrim’ (1983). In 1982, Kelehan arranged and conducted the crossover LP ‘An evening in Ireland’ for opera singer Louis Browne. His most unlikely involvement in any recording project came in 1984, when he was invited to write a string arrangement to ‘The unforgettable fire’, the title track of the eponymous U2 album – U2 being the single-most successful rock band of the 1980s and 1990s. “I was astonished when I heard they wanted me to write for them”, Kelehan laughs. “Although Bono and my wife Mary are distantly related, I did not know him personally. In truth, I doubted if it was wise to accept the offer, because I could not imagine how I could help a rock band. In the end, I went down to meet them and talk things over. They were only boys then and they could hardly explain what they wanted me to do, musically. As far as I know, none of them is able to read music. I made some notes during our conversation. Before I left, I made it clear I was absolutely not sure if this was going to work. Anyhow, I wrote this orchestration and we recorded the string arrangement. 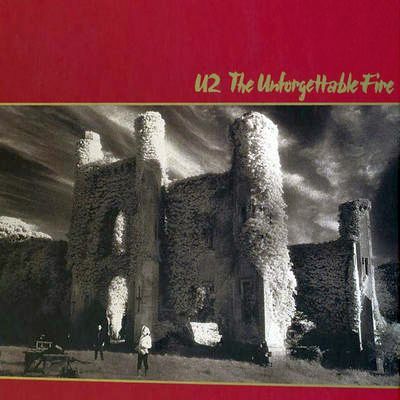 They had already recorded the melody – if you can call this a melody at all – to which the strings were added.” Contrary to Kelehan’s expectations, the combination of orchestral sounds and a U2 creation worked: ‘The unforgettable fire’ has become one of the band’s signature songs. 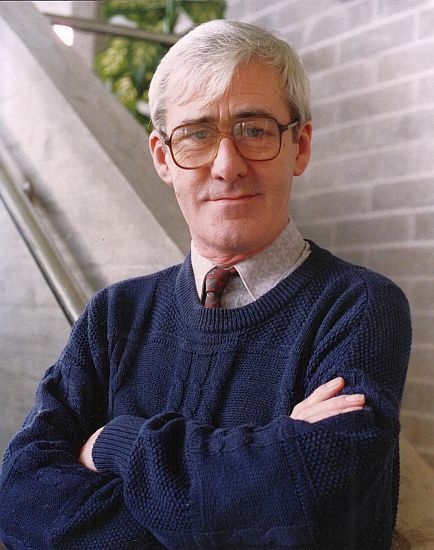 On his 65th birthday (December 2000), Kelehan retired from the staff of RTÉ. 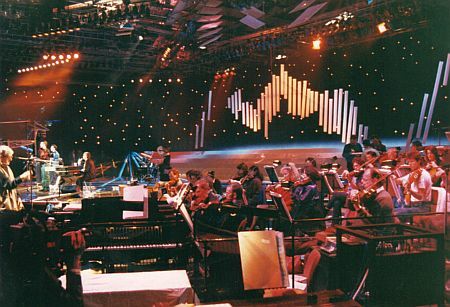 The broadcaster offered him a surprise party with the RTÉ Concert Orchestra and conductors Proinnsías Ó Duinn, Gareth Hudson, and Colman Pearce providing the music; among the guests joining in the celebrations in the RTÉ Studios in Dublin was Noel’s old friend from England, Ronnie Hazlehurst. 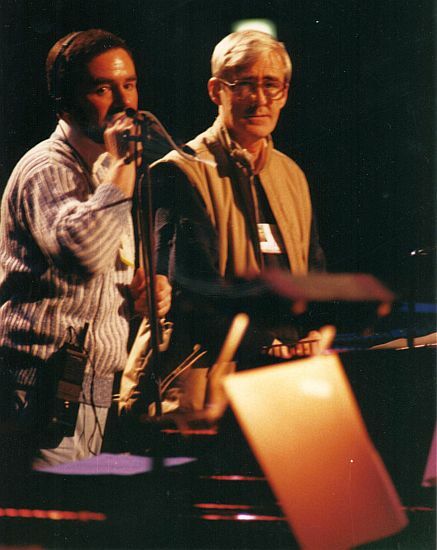 Kelehan continued working as an arranger and conductor after his retirement, mainly for crooner Daniel O’Donnell, for whom he arranged several albums in the 1990s and 2000s; for O’Donnell, Kelehan also conducted the orchestra on several television shows in Ireland as well as during his tour in the United States. Although Kelehan developed Alzheimer's, he never lost the ability to read music, play the piano, and change key at will. 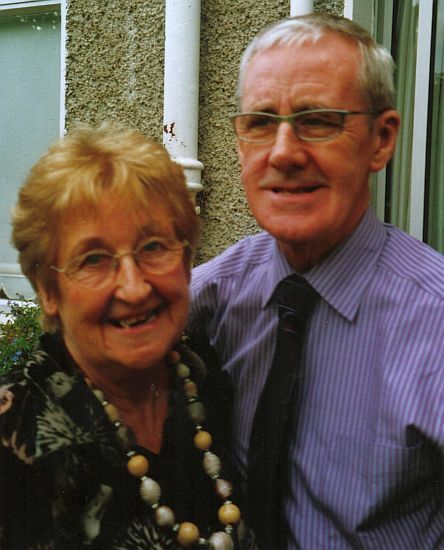 After his passing away in February 2012, he was honoured with a funeral mass in which his beloved RTÉ Concert Orchestra provided the musical accompaniment, with Eimear Quinn singing two songs. As a tribute to their former conductor, the orchestra also played Noel’s arrangement to ‘Send in the clowns’. All in all, Noel Kelehan conducted 24 Irish entries in the 32 years that he was involved in the Eurovision Song Contest: 1966 to 1969, 1971, 1976 to 1978, 1980 to 1982, 1984 to 1993, 1995, 1996 and 1998. Among these were the winning entries ‘What’s another year’ (1980), ‘Hold me now’ (1987), ‘Why me?” (1992), ‘In your eyes’ (1993), and ‘The voice’ (1996). 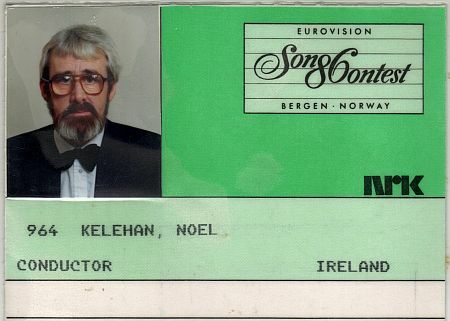 Kelehan was chief conductor for the Eurovision editions of 1981, 1988, 1993, 1994 and 1995, which were all staged in Ireland. In that capacity, he also waved the baton for the Bosnian entry of 1993, the Romanian, Greek and Polish entries of 1994, and (again) the Polish entry of 1995. All in all, Kelehan led the orchestra for no fewer than 29 entries. Nobody took part in the Eurovision Song Contest more often. 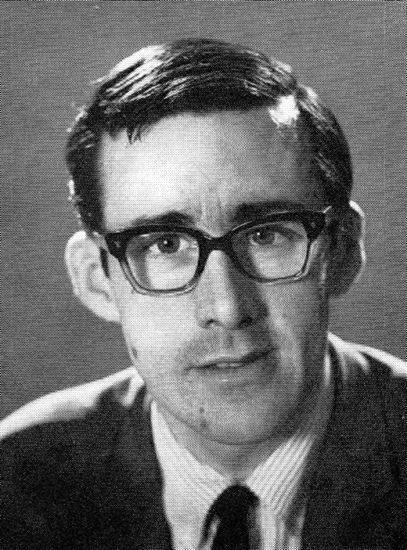 Moreover, Noel composed the opening tunes for the contests of 1971 and 1981, and led the RTÉ Concert Orchestra for 27 Irish national finals between 1965 and 1996. 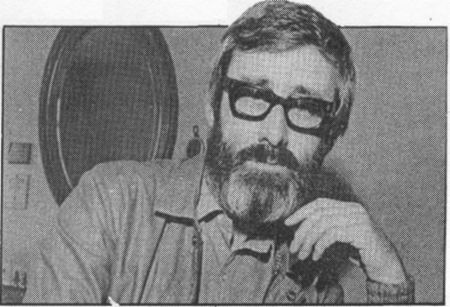 After his involvement in the 1971 Eurovision Song Contest, Colman Pearce, a staff member of RTÉ, replaced Noel Kelehan for several years as the musical director of the Irish pre-selection programme and the conductor of the Irish entry in the contest proper. When Kelehan was appointed conductor and arranger at RTÉ in 1973 and 1976 respectively, it was not long before Pearce, who was always mainly a classically-minded musician, had to make way for Kelehan again. 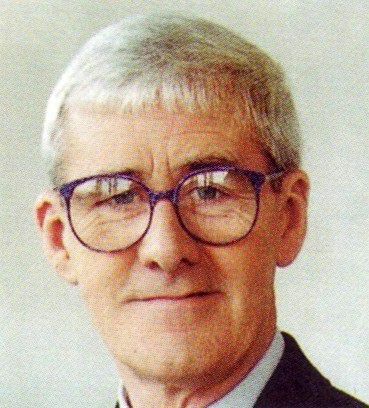 Noel conducted three more Irish Eurovision entries in the 1970s: ‘When’ for Red Vincent Hurley (1976), ‘It’s nice to be in love again’ for the Swarbriggs+2 (1977), and ‘Born to sing’ for Colm Wilkinson (1978). As a result of Johnny Logan’s Eurovision victories in 1980 and 1987, RTÉ got to organize the contest twice. The 1981 and 1988 editions of the festival were both staged at the Royal Dublin Society (RDS), with the RTÉ Concert Orchestra led by Noel Kelehan providing the music. Including his involvement in the 1990s, Kelehan had the honour of being the chief conductor of the contest on no fewer than five occasions (1981, 1988, 1993, 1994, 1995), another unbreakable Eurovision record. Having been involved in so many Eurovision Song Contests, Noel Kelehan does not have specific memories of all of them; the 1990 festival in Zagreb, in what was then Yugoslavia, is a marked exception. Ireland’s representative Liam Reilly managed to do very well, finishing second, but Kelehan did not enjoy his stay in the Croatian capital at all: “I had a feeling of impending doom in Zagreb. This is hardly surprising considering the later turn of events in the former Yugoslavia. There was not the usual interest and support for the contest from the ordinary people on the streets that you normally feel in a host country. To add insult to injury, Yugoslav TV had in mind not to let the conductor take his bow before his country’s entry. They wanted to show postcards of each country instead. Upon that, the conductors from all participating nations came together and we decided to draft a signed petition to offer it to the organisation. As I was the most experienced of the lot, all others gathered around me and I became the ringleader in spite of myself… We threatened to go on strike. Luckily, the decision was reversed” (check the biography of Yugoslavian host conductor Stanko Selak for more details of the impending conductors’ strike in Zagreb, BT). If Zagreb 1990 was the worst edition of the Eurovision Song Contest for Noel Kelehan, the festival in Rome (1991) is a strong contender for second place. Kelehan: “In Rome, things were not much better. My hotel was in the middle of nowhere… I was totally isolated there. The show was staged in the studios where all these spaghetti westerns were recorded. Those Italians could not care less about this Eurovision Song Contest. They constantly told us they were not ready yet. During the rehearsals, there were moments I thought the whole programme might be cancelled. They were far behind schedule. 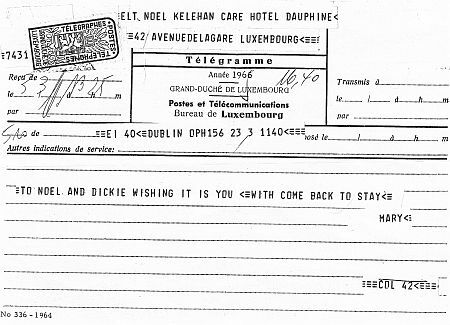 We were certainly given the full Italian experience that week…” That year, Ireland finished tenth with Kim Jackson and her ballad penned by Liam Reilly, ‘Could it be that I’m in love’. In the 1990s, Ireland seemed truly unbeatable. 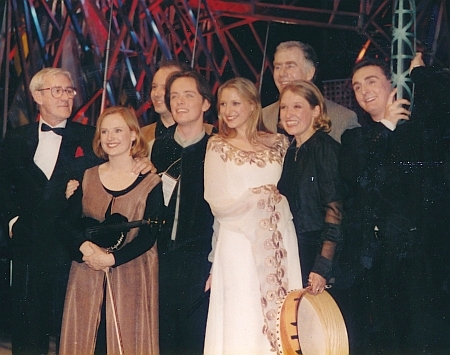 In 1996, when the festival was staged in Oslo, the Irish won again with angelic singer Eimear Quinn and her Celtic ballad ‘The voice’, written by Brendan Graham. Thanks to British Sky’s documentary about the Oslo festival, ‘It’s a killer’, in which Noel Kelehan features extensively, we get a tantalizingly short insight in the way the Irish conductor used to charm an orchestra with his modesty and mild humour. When the first rehearsal is about to begin, Kelehan turns to the orchestra musicians, saying: “Good afternoon. There will be no problem. I am not very good, but the song plays itself. I used to be a musician myself years ago… I made a brave attempt at the piano.” Kelehan refused to climb the conductor’s platform, choosing to lead the band simply standing in front of the string section. After the rehearsal, when there was a meeting of the Irish delegation to discuss the performance, he expressed his worries about the string arrangement, believing the loudness of it created a contrast which was too much; however, as soon as he noticed composer Brendan Graham was not considering making alterations, he backed off, obviously not being the kind of person to force his opinion on others. One day before the actual contest, the conductors found out producer Odd Arvid Strømstad had decided to leave out the usual bow of each maestro to win time for a special feature: short films of politicians from each country wishing their representatives well – it was the same situation as in Zagreb 1990 all over again. Kelehan was very annoyed, as he explained to Sky TV: “We are like nonentities and this is getting up noses, obviously.” With three of his colleagues, Paul Abela, Anders Berglund, and Olli Ahvenlahti, he made it clear to Strømstad that he could expect a strike of all conductors if he persisted in his plan. Although the producer was much annoyed being threatened, he backed off. Kelehan, relieved, to Sky TV: “It is fixed. So what is going to happen: when they are showing the pictures of the various prime ministers or heads of state or something, there will be an applause and the floor manager will say ‘now’, upon which we will make a bow… thank you and good night. Two seconds!” On the night, Kelehan was very optimistic about winning the contest, asking a reporter: “How would you like a Dublin Guinness next year?” More than in any of the four previous winning acts he was involved in, Kelehan seemed part of the victory celebrations, embracing Eimear Quinn on stage after she had given the reprise of her winning song. Bas Tukker interviewed Noel Kelehan in Dublin, July 2007; this interview was published in EA-Nieuws (2007-2008, no. 1), the magazine of Eurovision Artists www.eurovisionartists.nl). British Sky TV made a documentary about what happened backstage in the run-up to the 1996 Eurovision Song Contest in Oslo, “It’s a killer – Eurovision Song Contest Oslo 1996 – Behind the scenes”. Noel Kelehan features in it prominently. An impression of the farewell concert organized for Noel Kelehan (2000), written by Honor Heffernan, can be found at www.rte.ie/ten/2000/1221/jazznotes.html. Many thanks to Joe Burkett, Jon Kjell Seljeseth, and Olli Ahvenlahti for their comments about Noel Kelehan. Photos courtesy of Noel & Mary Kelehan and Ferry van der Zant. All videos courtesy of Tin Španja (www.esclivemusic.com).